Currently, bioplastics represent about one per cent of the about 300 million tonnes of plastic produced annually. But as demand is rising and with more sophisticated materials, applications, and products emerging, the market is already growing by about 20 to 100 per cent per year. According to the latest market data compiled by European Bioplastics, global production capacity of bioplastics is predicted to grow by 50 percent in the medium term, from around 4.2 million tonnes in 2016 to approximately 6.1 million tonnes in 2021. 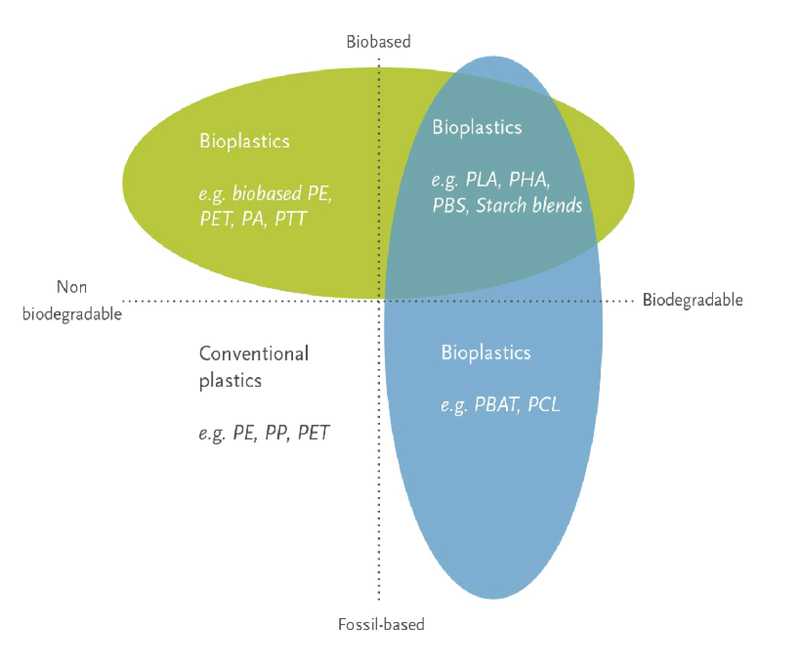 Bioplastics are an essential part of the bio-economy and a fast-growing, innovative industry that has the potential to decouple economic growth from resource depletion and environmental impact. The property of biodegradation does not depend on the resource basis of a material. This feature is directly linked to the chemical structure of the polymer and can benefit particular applications, in particular packaging.